We know many of you will be wondering that what is it with this June 12, Here are 12 important facts you need to know about June 12 brought to you by Lasgidi Online. 1. The date is celebrated in honour of an annulled presidential election in June 12, 1993. Chief Moshood Kashimawo Olawale Abiola, often referred to as M. K. O. Abiola, ran for the presidency in 1993, and is widely regarded as the presumed winner of the inconclusive election since no official final results were announced till date. 2. The election was annulled by Ibrahim Babangida, because of alleged evidence that they were corrupt and unfair, a development that ushered in a political crisis that led to General Sani Abacha seizing power later that year. 3. In 1994, Abiola declared himself the lawful president of Nigeria in the Epetedo area of Lagos island, an area mainly dominated by Lagos Indigenes, after he returned from a trip to solicit the support of the international community for his mandate. After declaring himself president he was declared wanted and was accused of treason and arrested on the orders of military President General Sani Abacha, who sent 200 police vehicles to bring him into custody. 4. Moshood Abiola was detained for four years, largely in solitary confinement with a Bible, Qur’an, and fourteen guards as companions. 5. Nigerian Pastor T.B. Joshua is said to have predicted the annulment to Abiola and warned him against contesting. 6. Abiola’s involvement in politics started at a young age. He was 19-years-old when he joined the National Council of Nigeria and the Cameroons (NCNC) in 1979. 7. For the June 12, 1993 presidential elections, Abiola’s running mate was Baba Gana Kingibe. He overwhelmingly defeated his rival, Bashir Tofa of the National Republican Convention. 8. Abiola died on July 7, 1998 on the day he was due to be released from incarceration under suspicious circumstances shortly after the death of General Abacha. The official autopsy stated that Abiola died of natural causes, but Abacha’s chief security officer, Al-Mustapha alleged he was beaten to death. 9. MKO Abiola used a ‘Hope’campaign which President Barrack Obama also used. Many people may have paid attention to the word ‘Hope’ being used to convey a message of possibility during Obama’s 2008 election in America, but 15 years before then in Africa’s most populous nation, MKO Abiola became a rallying figure for many Nigerians with his ‘Hope’ campaign. 10. MKO Abiola died for the June 12 mandate but he was not the only June 12 casualty as General Sani Abacha also died in mysterious circumstances on June 8, 1998. 11. Chief MKO Abiola’s memory is celebrated in Nigeria and internationally. June 12, remains a public holiday in Lagos and Ogun states and other All progressive Congress party states. MKO Abiola Stadium was named in his honour. 12. The election was declared Nigeria’s freest and fairest presidential election by national and international observers, with Abiola even winning in his Northern opponent’s home state. 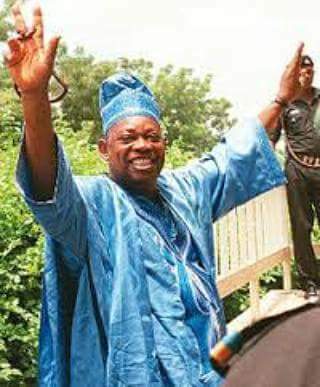 June 12 is thus a day to remember chief Moshood Kashimawo Olawale Abiola as well as other democracy martyrs.